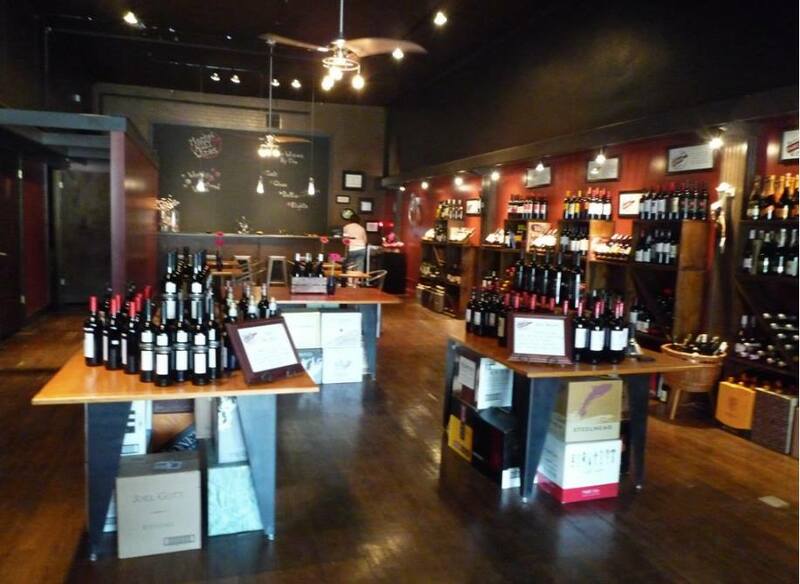 Susan opened Market Alley Wines in 2011. Since then it has become an integral part of Monmouth's community, a place where people can gather and enjoy themselves without feeling confined in their own homes. Despite having to do some remodeling, including the addition of two public restrooms, Schuytema bought the space primarily because she knew she would have to do limited remodeling to make her dream a reality. The charm and sense of belonging is what keeps Market Alley Wines' customers coming back. 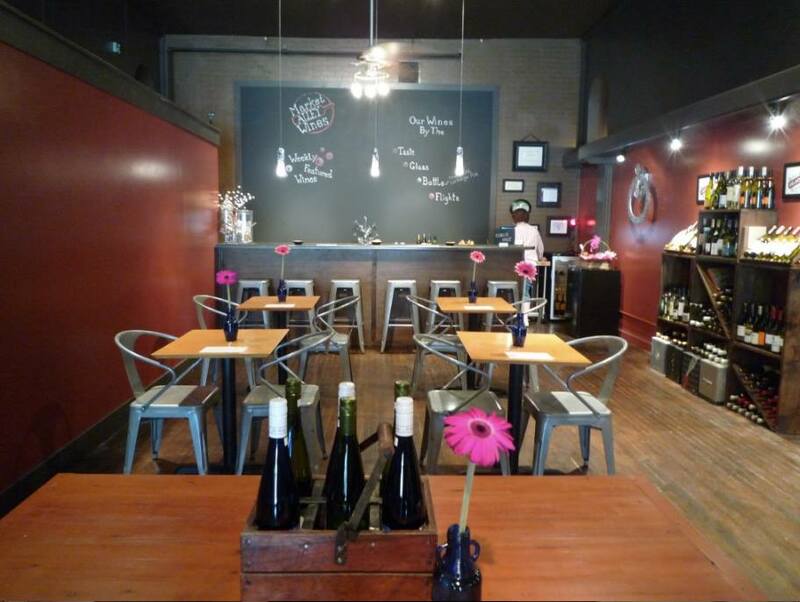 Market Alley Wines is a third place, a home away from home. As described by employee Tom Lawson, it is the Cheers of Monmouth, Illinois, where everybody knows your name. Hidden behind the wall containing most of the displayed wine are the shoe racks once used by Bowman Shoe Store. Behind the opposite wall is a small hallway, with words of wisdom written by Bowman employees. In addition, the front walk leading to the store still shows the Bowman tiling. This picture was taken shortly after the store opened in 2011. The back wall has since been removed so the store could expand its seating capacity. Here is another view of the store taken after it opened in 2011. 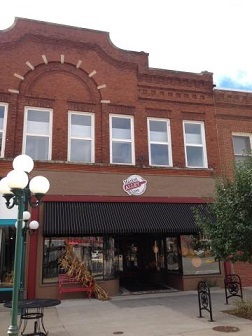 In this picture, taken in September 2015, you can still see the tiling put in place during the Bowman Shoe Store days. The wall behind the wine display hides the shoe racks used for many years by Bowman's Shoe Store. Behind a wall put in during the renovation are two restrooms, something the store was required to have before opening in 2011. 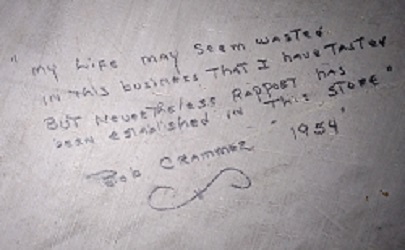 Bowman employees hid words of wisdom within the store, something that can still be seen today. Bob Crammer left this poem in 1954, a reminder that can still apply to businesses in Monmouth today. Paul Schuytema explains some of the background of opening Market Alley Wines.